Whenever it comes to the making of some wooden pallet repurposed furniture item, I literally become excited because it is just like a passion and obsession for me. But things have changed a lot now a days, the wood pallet repurposing have become so advanced. More and more people are getting inclined towards this art and this is causing advancement eventually in the pallet wood recycling. How about making some folding pallet wood furniture especially for the patio? I guess it has got so many advantages like it would capture least space and the utility would be the maximum. 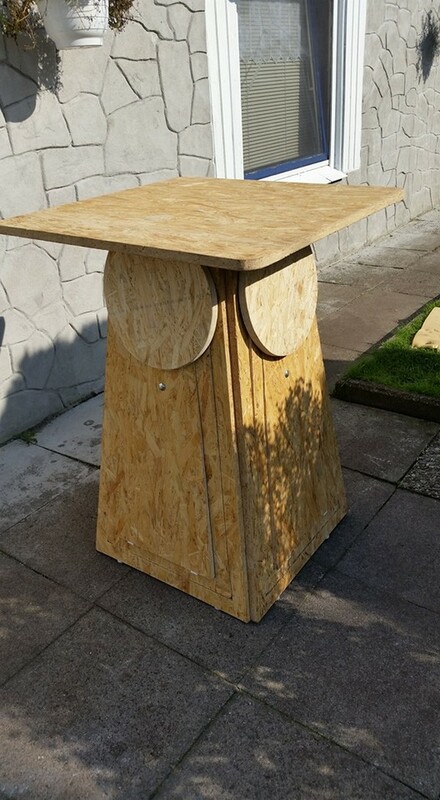 Looking at this tower wood pallet table it seems as if it is only one single unit bearing tower wooden table that is ideal for outdoor usage. But later on your guys are going to explore many of the features that aren’t yet displayed here and it would get pretty exciting. Wohoo… here it comes. Just look what it has got inside it, a whole sitting plan that was folded right inside the tower wood pallet repurposed table. 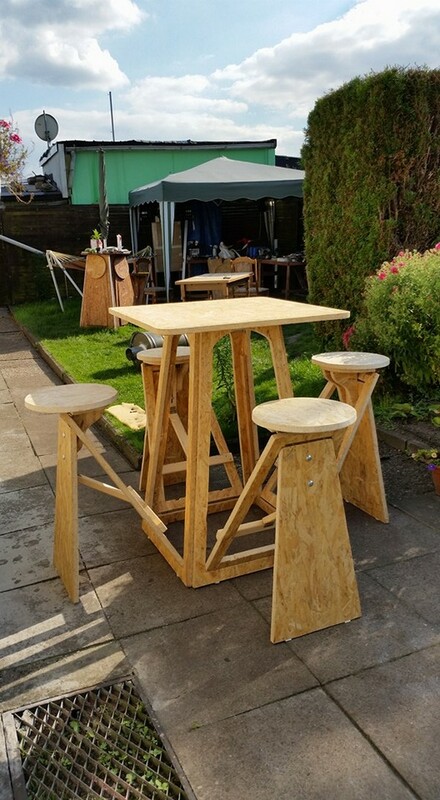 It has got the full fledge stools made with the same timber which offer a perfect sitting arrangement for four people at the same time. 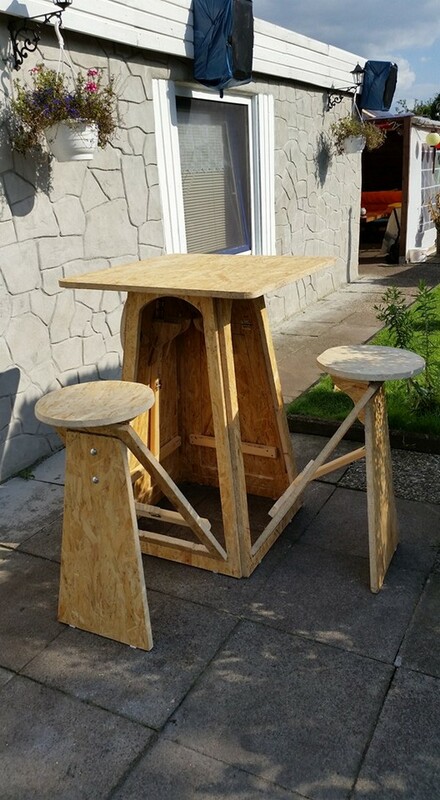 Here we have brought out all the hidden or camouflaged aspect of this folding patio furniture made out of the shipping pallets. One thing that is pretty obvious is that this is made with the freshest shipping pallets. And also the round sitting wooden slabs are reclaimed from an old broken wooden furniture item. Very advanced metallic hinges are attached to the base of the connecting points from where the stools get opened to keep them intact. Cutting and the accurate measurements have been so crucial throughout the project so the mentors are urged to give it a try.